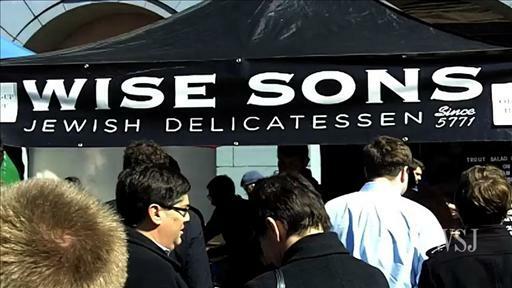 The owners of Wise Sons Jewish Delicatessen started their business with a dream: to bring traditional Jewish foods such as hand-sliced pastrami and house-smoked trout, to San Francisco. But the economics of opening a location—costs can range between $300,000 and $500,000 for a 1,500-square-foot space with a liquor license in San Francisco—pushed the young restaurateurs to launch with a more temporary approach: the pop-up. Pop-up restaurants [are] temporary eateries that set up shop for a few days, weeks or months in spaces such as hotel lobbies or other restaurants that close for the night. Start up costs: About $2,000 to $2,500 a week, which covered rental space in a commissary kitchen, ingredients, and liability insurance, and was equivalent to what the partners, who worked without pay, earned during each service. The Wise Sons pop-up soon began gathering crowds and garnering attention in the local press. In late February, just over a year since starting the pop-up, which still operates once a week, the partners opened a fixed location in the city's Mission District. The obvious lesson? If your idea is good and you work hard, you can turn humble origins into grand success. Pop-ups also appeal to established restaurateurs such as Bill Chait, managing partner of Sprout LA, which operates six Los Angeles restaurants. Pop-ups are an ideal way to reach a younger audience, he said. For Mr. Chait, who was already paying for the location and some of the staff salaries, input costs were minimal, and he made a margin of about 20% on each event, he said. "The circle of people we have in this universe, it's our target market. It's social-media driven and younger," Mr. Chait said. A mailing list of more than 4,000 names accrued through the pop-ups "are big diners at our restaurants" now, Mr. Chait said. Chait used his temporary restaurants to build a permanent asset -- a mailing list of more than 4,000 customers. And they're coming back to dine at his permanent restaurants. Chait is the only restaurateur in the article to mention a mailing list. My guess is Chait will be the only one in business 5 years hence -- because he's the only one building a permanent foundation. A mailing list and/or customer database is the most valuable asset you can own. It's a rock upon which you can build a business that lasts. You may have 1,000 followers on Twitter, but Twitter owns them -- not you. You may have 1,000 friends on Facebook, but Facebook owns them -- not you. If you don't have a customer database or mailing list, any success you have now is temporary. In the long run, you will get owned -- by the competition. Psychologists Sheena Iyengar and Mark Lepper were among the first to show that too many choices are bad for sales. "... when shoppers are given the option of choosing among smaller and larger assortments of jam, they show more interest in the larger assortment. But when it comes time to pick just one, they're 10 times more likely to make a purchase if they choose among six rather than among 24 flavors of jam." The pair found the same "paradox of choices" applied when consumers were asked to choose a 401(k) retirement program. "With 401(k)s, people are given enormous incentives to participate through tax shelters and employer matches," Iyengar comments. "So, essentially, if you choose not to participate, you're throwing away free money." Instead of leading to more thoughtful choosing, however, more options led people to act like the jam buyers: When given two choices, 75 percent participated, but when given 59 choices, only 60 percent did. In addition, the greater the number of options, the more cautious people were with their investment strategies, the team found. Surgeon Atul Gawande found that 65% of people surveyed said if they were to get cancer, they'd want to choose their own treatment. Among people surveyed who really do have cancer, only 12% of patients want to choose their own treatment. So, if you ask your customers if they want extensive choice, they will say they do -- but they really don't. Bottom line: Simple is good. Because choosing is a chore. Corollary: Do the thinking for your prospects. Make it simple for them to make the right choice. They will reward you by giving you money. What could Google and Apple have included on their websites? A lot. What did they leave out? A LOT. Know this: It took a lot of thinking for Google and Apple to determine the main things they want you to do ... so they could avoid distracting you with trivial choices. 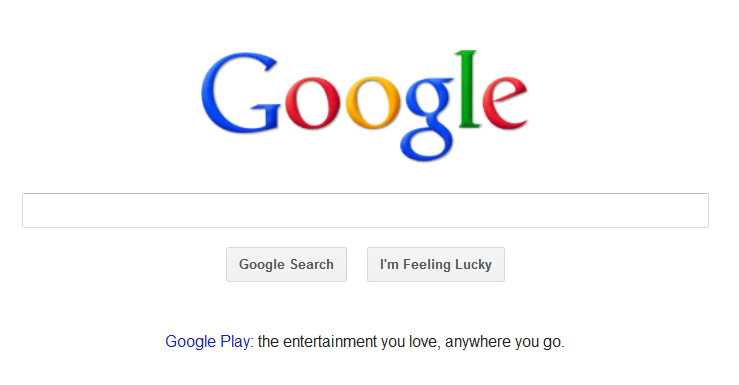 Google wants you to search. Everything else is trivial. Apple wants you to explore their new iPad. Everything else is trivial. when you engage them in a networking conversation? Once you know what you want people to do, you can do something wonderful: Make things simple. By leaving out the trivial choices that don't matter. Every copywriter knows the P.S. in a letter almost always gets read. Because it's right below the signature, where it can't be missed. But not every copywriter can write a good P.S. Specifically, it caused a very busy CEO to pick up the phone and call me, triumphantly, to say that, yes, his assistant did open this letter. Was I unhappy about having to buy him lunch? Uh, no. 2) Set up a meeting. Check. Now. Will this P.S. language work in every situation? No. It may not even work in most situations. Had I not previously had a friendly lunch with this person, I might not have penned such a cheeky P.S. 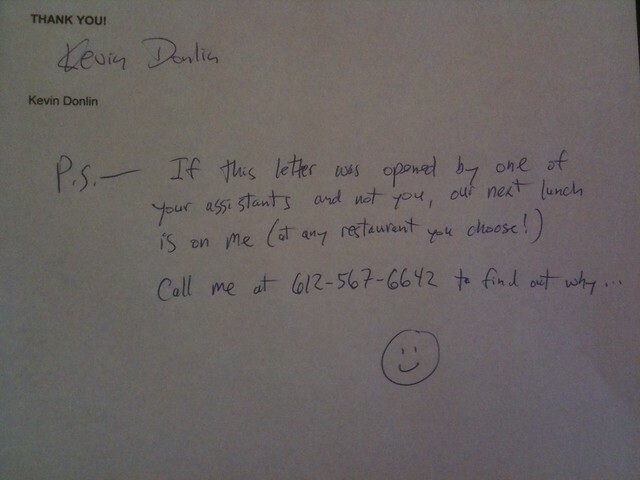 But ... it shows how the right mix of creativity and bravado can work wonders in your sales letters. Want more revenues, more profits, and less competition? Then you want to create an experience for your clients. "... people (whether in the form of a consumer or a business) buy from those companies that make their experience delightful. It’s obvious that there’s no lack of coffee shops, but few coffee shops create a delightful experience. "Enter Starbucks with all the ingredients to delight: well-trained & friendly staff, wi-fi, music, comfy chairs, a beautiful display case with fresh food, consistent quality. Customers came, they stayed, they returned, they told their friends." Your clients are too smart to be swayed by "experiences." Or not smart enough. Or too busy. Or too price conscious. But are your clients people? Then experiences matter. And is your product or service more complex than a popscicle? Then you can create a profitable, remarkable experience around it. No joke. Popsicles are the ultimate commodity. Any 5-year-old can make and sell them. All you need are frozen juice and some sticks. Yet ... you can make a popsicle that's remarkable -- an experience. 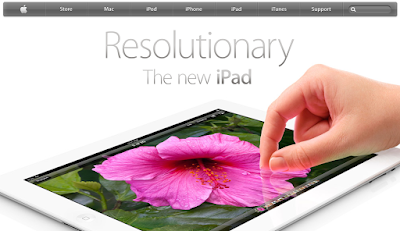 One that inspires brand loyalty and word-of-mouth advertising. But what's the effect of those little jokes? Big. They add an extra smile to a tasty treat. The jokes create an experience that's remarkable. Here's proof: Last Thursday afternoon, my teenage daughter remarked, "We had popsicles after lacrosse practice, but they weren't so great. 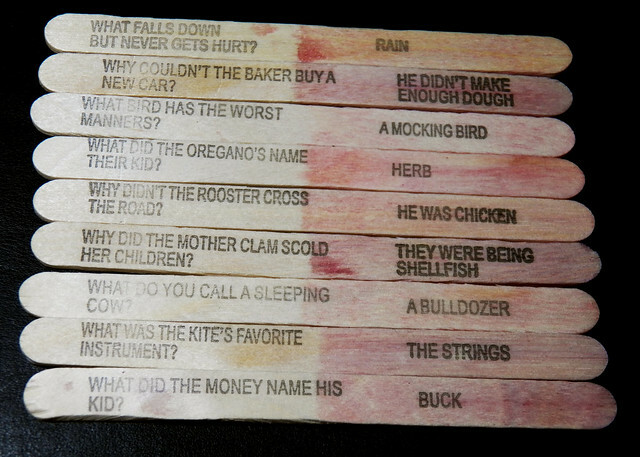 I wish we had those ones with jokes on the sticks." That's the definition of remarkable -- people remarking about you. It's what you want your customers to do. And you don't need a nine-figure marketing budget like Starbucks or a factory stamping out jokes on sticks to create an experience that makes your business remarkable. Just add a smile to your clients' day today. 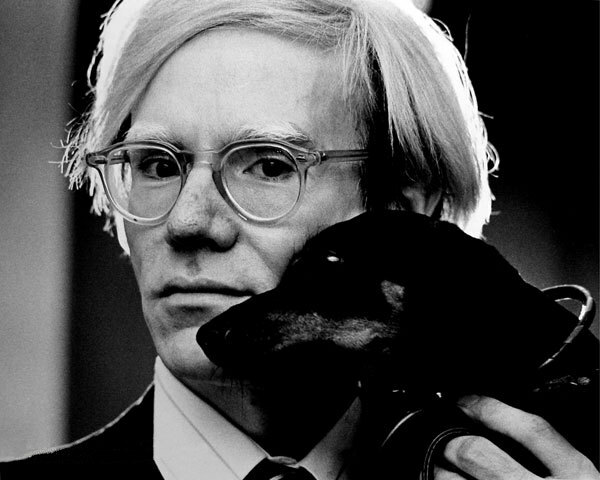 Andy Warhol -- was he an artist? He once said: "Being good in business is the most fascinating kind of art. Making money is art and working is art and good business is the best art." He may not have been the best in art, but he was among the best in business. As a result, his art made him rich (and his heirs richer). I think it was this: Most artists spend 80% or more of their time creating, and only 20% or less marketing. Not surprisingly, most artists are starving. He spent a great deal of time rounding up rich people to buy his paintings, including the Shah of Iran, Mick Jagger, Liza Minnelli, John Lennon, Diana Ross, and Brigitte Bardot. Here's the big difference: Most artists create stuff first, then find buyers. And they starve. Andy Warhol found buyers first, then created stuff. And he profited. Something to think about, isn't it? Especially if you find yourself hungry. And all of this is more proof of the 80/20 Rule in marketing, which can keep you from starving -- and put you on the royal road to profits. A few weeks back, mysterious messages started appearing on the whiteboard in my office. As fast as I erased them, the messages came back. Not if you have teenagers, like me. 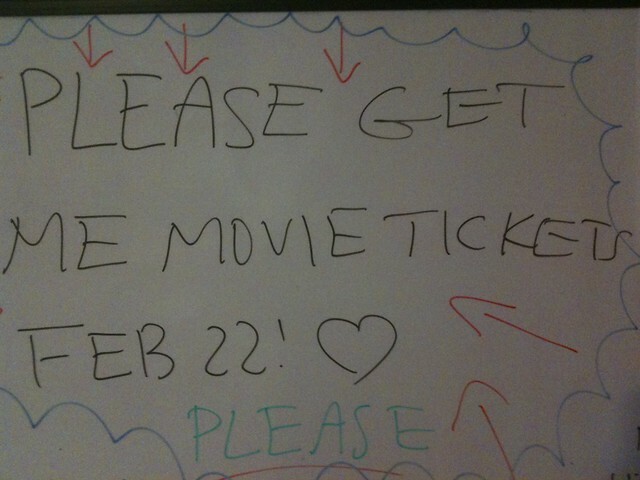 You know exactly what I'm talking about -- tickets for The Hunger Games movie went on sale February 22. 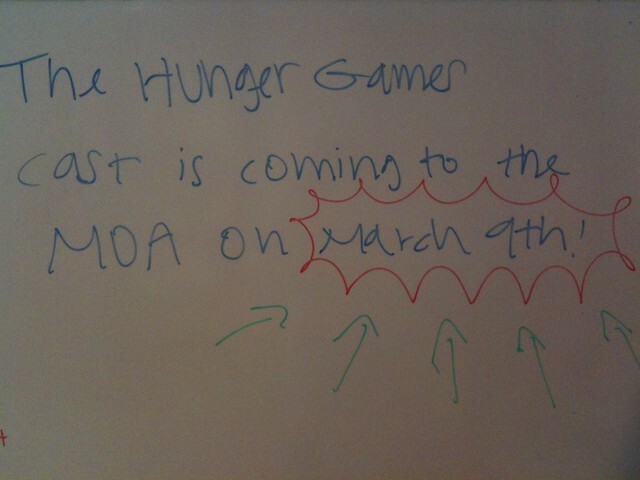 And the cast of Hunger Games is coming to MoA (the Mall of America) on March 9. So ... what does this have to do with your business? My teenage daughter showed it in spades. Not only did she scribble reminders where I couldn't miss them, she mentioned The Hunger Games in just about every conversation, just about every day, from morning to night. On February 22, I bought tickets to the movie premier. And last week, my daughter persuaded her friend's step-mom to drive 3 screaming girls to the Mall of America at 3:00 AM this Friday to wait in line to meet the cast. Question: Do you display that level of persistence when following up with prospects who haven't bought yet? Do you follow up with them at all? Think about it. What if you were as excited and persistent about selling your product or service as a teenager is about selling The Hunger Games? You could turn your own personal economy around in 48 hours, that's what. With it, you have nothing to worry about in business. Without it, you will go hungry. 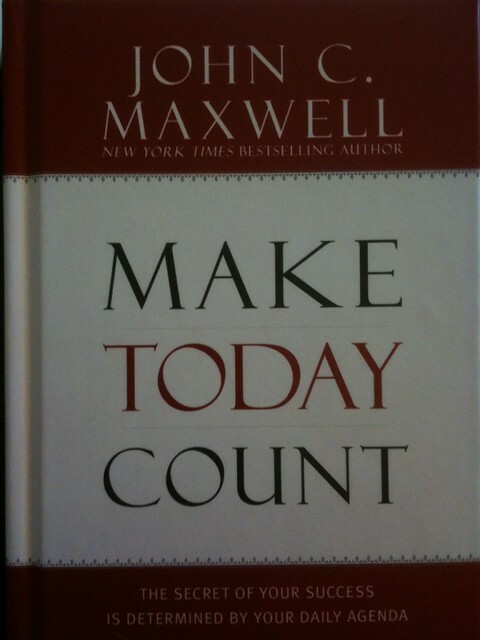 In addition to running two companies and speaking all over the world, John C. Maxwell has written books that have sold more than 75 million copies, including the excellent, Make Today Count. You may think it's impossible for one person to do so much. And you would be right. It is impossible -- for one person. One person could never do all that John C. Maxwell or any top achiever has done. But Maxwell has expanded what he can do by expanding what it means to do what he does. You may think writing a book means you have to research the topic, write a first draft, proofread it, submit it to the publisher, edit and rewrite any changes, etc. But that's a narrow, limiting definition of "writing a book." Look carefully. Turns out, Maxwell didn't write all (or any?) of Make Today Count -- Charlie Wetzel is listed as his writer. 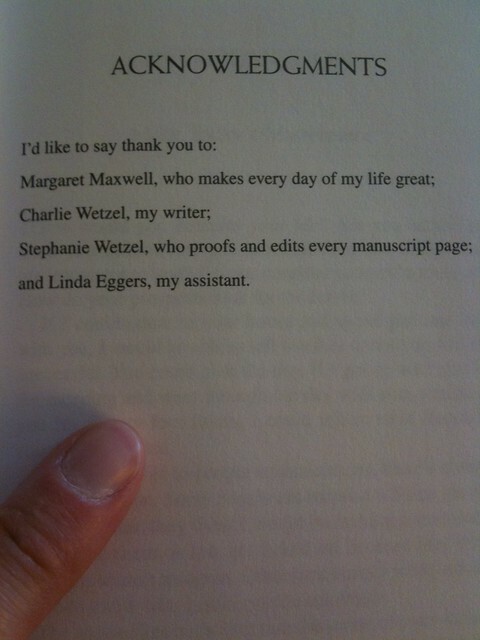 And Stephanie Wetzel is the person "who proofs and edits every manuscript page." By expanding the definition of what he does, John C. Maxwell can do more. A LOT more. Now, a question: How could you do more by expanding the definition of what you do? As a copywriter, I can do a lot of writing by outsourcing parts of it. When I call a client or industry expert to do research, for example, I record the call and send it to my transcriber. This frees me to do what I do best, which is find a Big Idea for my client's marketing message, then support that idea with facts. So, one way to expand the definition of what you do is to expand your team. Example: Michelangelo didn't paint the Sistine Chapel ceiling by himself. He had a team -- a small army of assistants who mixed his paints, prepared each day's plaster, and even painted small parts of the picture. Because, no matter what you do, there are probably only 2-3 things that add the most value to your work. All the rest can and should be outsourced. That's a part of what makes 80/20 Marketing so effective, by the way.